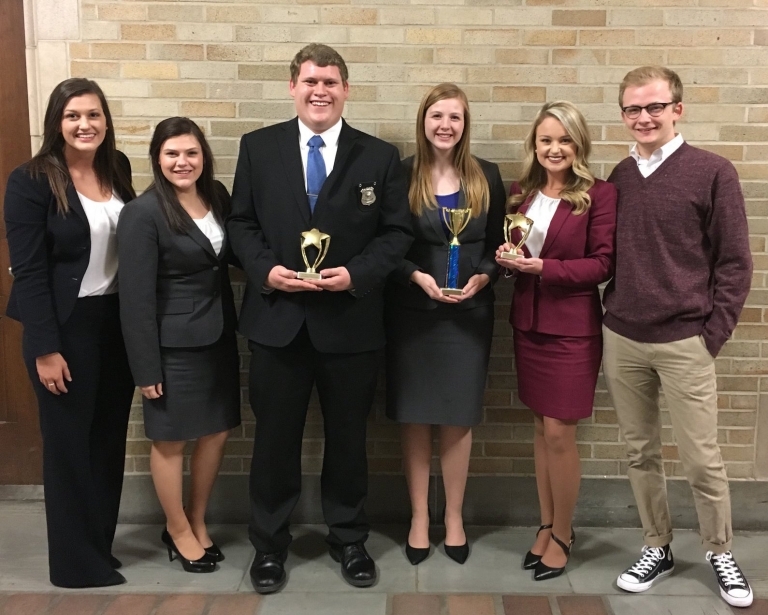 EKU Mock Trial teams compete successfully against students from the most prestigious colleges and universities in the nation. Click on the video below to hear about the EKU Mock Trial experience. Students earn two upper-level POL credits per semester while traveling the country and competing as attorneys and witnesses in a nationally-recognized mock trial program. The class meets twice a week (M 7-9pm, W 3:45-5:45pm). Students are selected through a brief interview/audition process. Please contact the Program Coordinator, Thomas Parker, at thomas.parker@eku.edu if you are interested in auditioning or would like further information on the program.